Joël Le Bon is a Marketing & Sales Professor at the Johns University Carey Business School and Faculty Director for Leadership in Digital Marketing & Sales Transformation. Prior to joining the Carey Business School, he was on the faculty at the University of Houston Bauer College of Business where he served as Director of Executive Education, and Director of Professional Development for Stephen Stagner Sales Excellence Institute. Dr. Le Bon also worked in France and Singapore as an Associate Professor of Marketing and Department Head at ESSEC Business School. Before becoming a professor, he was a Strategic Account Manager for XEROX Corporation in France, and had sales and sales management roles in the media industry where he won several all-time sales awards. As a professor, he has earned 23 international research, teaching awards and distinctions, and is the first sales educator to have received all the teaching awards from the major academic marketing associations. He is the Chief Academic Researcher & Higher Education Representative for the AA-ISP American Association of Inside Sales Professionals, serves on the Board of Advisors of the Sales Enablement Society, Chair Elect of the American Marketing Association Sales Special Interest Group, and Vice-Chair of Digital Enablement & Development and Vice-Chair of the Africa Forum for the GSSI Global Sales Science Institute. Dr. Le Bon's research and teaching focus on increasing inside and outside salespeople's performance, luck, and well-being; digital marketing and social selling; account-based marketing; CRM; sales negotiation; competitive intelligence and sales analytics; prospective sales managers and salespeople competency models; customer satisfaction analysis and measurement. His work has been published by the Harvard Business Review Online, the Journal of the Academy of Marketing Science, the International Journal of Research in Marketing, the Journal of Personal Selling and Sales Management, and Industrial Marketing Management among other academic journals. 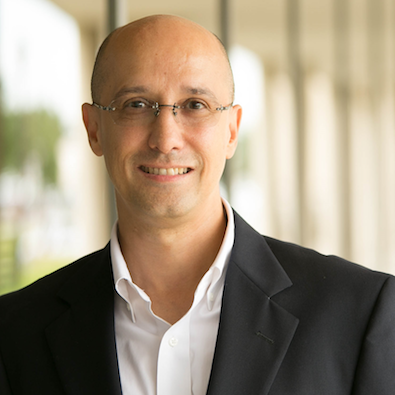 His research has been awarded and recognized by the American Marketing Association (AMA), the National Conference in Sales Management (NCSM), the Society for Marketing Advances (SMA), the Global Sales Science Institute (GSSI), the French Marketing Association (AFM), and the French National Foundation for Management Education (FNEGE). He is the author of the books Key Account Management: Strategies to Leverage Information, Technology, and Relationships to Deliver Value to Large Customers, New York, NY: Business Expert Press (with C. Herman), and Competitive Intelligence and the Sales Force: How to Gain Market Leadership through Competitive Intelligence, New York, NY: Business Expert Press. Dr. Le Bon teaching leverages his rich international background and experience and covers such topics as marketing strategy; sales strategy; sales leadership; digital sales and account-based marketing; sales CRM; sales negotiation; competitive intelligence management; value pricing. He consults and has directed numerous Executive Education Programs internationally for companies such as 3M, Arthur D. Little, BASF, DHL, Essilor, Eiffage, Groupama, Hanglas, IBM, Mazars, Mobivia, Renault-Nissan, Orange, Rogers, SBM, Samsung Motors, Schlumberger, SCI, Sodexo, Thales, among others. He is listed in the Who's Who Albert Nelson Marquis Lifetime Achievement Award, Who's Who in America. He has been selected as the winner of the Society for Marketing Advances Axcess Capon Distinguished Teacher Award, the winner of the Academy of Marketing Science Lamb-Hair-McDaniel Outstanding Marketing Teacher Award, the winner of the American Marketing Association Sales Special Interest Group Excellence in Teaching Award. He is the recipient of the University of Houston University-Wide Teaching Excellence Award, the highest instructional distinction bestowed by the University of Houston, the co-winner of the University of Houston University-Wide Group Teaching Excellence Award, and the recipient of the University of Houston C.T. Bauer College of Business Wayne & Kathryn E. Payne Excellence in Teaching Award. He is also the first French winner of the IBM Faculty Award, and the first international professor awarded the AMA's Prentice Hall Solomon-Marshall-Stuart Best Teacher Award for Innovative Excellence in Marketing Education. Dr. Le Bon holds a Bachelor of Arts in Management Science, a Master of Science in Marketing and Strategy, and a PhD in Marketing from Paris Dauphine University. He was a Postdoctoral Scholar at the Pennsylvania State University within the Institute for the Study of Business Markets (ISBM) and is also an alumnus of the Kellogg ITP program of Northwestern University. He has worked and lived in Europe, Asia and the United States, and was born in the island of Mauritius (Indian Ocean). Le Bon J. (2015), Training and Qualification: Developing a Competency Model to Assess Sales Leaders' Equity, in M. Zuech (ed. ), Handbook of Human Resources Management, Berlin: Springer Science+Business Media. Le Bon J. (2015), Why the Best Salespeople Get So Lucky, Harvard Business Review Online, HBR.org, April 13, Harvard Business School Publishing. Le Bon J. (2013), Use Your Sales Force's Competitive Intelligence Wisely, Harvard Business Review Online, HBR.org, November 26, Harvard Business School Publishing. Hughes D., Le Bon J., and Rapp A. (2013), Gaining and Leveraging Customer-Based Competitive Intelligence: The Pivotal Role of Social Capital and Salesperson Adaptive Selling Skills, Journal of the Academy of Marketing Science, 41, 91-110. Hughes D., Le Bon J., and Malshe A. (2012), The Marketing-Sales Interface at the Interface: Creating Market-Based Capabilities through Organizational Synergy, Journal of Personal Selling and Sales Management, 32 (1), 57-72. Le Bon J. and Hughes D. (2009), The Dilemma of Outsourced Customer Service and Care: Research Propositions from a Transaction Cost Perspective, Industrial Marketing Management, 38, 4, 391-397. Le Bon J. and Merunka D. (2006), The impact of individual and managerial factors on salespeople's contribution to marketing intelligence activities, International Journal of Research in Marketing, 23, 4, 395-408. Ahearne M. and Le Bon J. (2001), The Definition of Sales, in The World Book Encyclopedia, Chicago, World Book Publishing. Le Bon J. (1997), Contribution des vendeurs aux activities de veille marketing et commerciale : D'un cadre conceptuel aux opportunities de recherche (Salespeople's Contribution to Competitive Intelligence Activities: From a Conceptual Framework to Research Opportunities), Recherche et Applications en Marketing, 12, 3, 5-24. Le Bon J. (2018), The Customer Compromise and ComproScore: Toward a New Concept and Metric to Assess Customer Satisfaction, Buying Process, and Loyalty, Academy of Marketing Science World Marketing Congress Proceedings, June, Porto, Portugal. Ohiomah A., Benyoucef M., Andreev P., Kuziemsky C., Hood D., Le Bon J. (2018), Big Data Analytics for Inside Sales Lead Optimization, Or Engaging Customers When it Matters the Most, AMA Winter Educators' Conference Proceedings, February, New Orleans, Louisiana, U.S.A. Le Bon J. (2016), The Accidental Salesperson: Can Inexperienced Sales Professionals Get Lucky Without Working Smart or Hard? Academy of Marketing Science World Marketing Congress Proceedings, July, Paris, France. Le Bon J. (2016), When Buyers Bring Good Fortune: The Impact of Luck on Salespeople's Morale, Intention to Leave their Company and the Sales Profession, Global Sales Science Institute Conference Proceedings, June, Birmingham, England. Le Bon J. (2015), It's Not about the Buying Customer, It's About the Paying One: Sales Skills that Make Customers Pay Faster, Global Sales Science Institute Conference Proceedings, June, Hiroshima, Japan. Le Bon J., Hughes D., Wyatt S., and Merunka D. (2015), Protecting Brand Value: Walking the Talk After the Sale, Academy of Marketing Science Proceedings, May, Denver, U.S.A. Le Bon J. (2015), I Believe in Luck, Therefore I Sell: The Role of Serendipity in Inexperienced Sales Professionals' Performance, National Conference in Sales Management Proceedings, April, Houston, U.S.A. Le Bon J. (2014), Can We Attribute Sales Performance to Luck: Exploring and Leveraging the Effect of Luck on Young Sales Professionals' Self-Efficacy and Performance, Society for Marketing Advances Conference Proceedings, November, New Orleans, U.S.A. Le Bon J. and Merunka D. (2014), Engaging Customer Preference through Trade Credit: An Investigation of the Impact of Payment Terms on Brand Equity, Academy of Marketing Science Proceedings, May, Indianapolis, U.S.A. Le Bon J. (2013), Predicting Business Customer Potential Disloyalty and Share of Wallet: Proposition of a New Theory and Moderating Effects, Academy of Marketing Science Proceedings, May, Monterey, U.S.A. Le Bon J. (2009), Appraising, Predicting, and Preventing Business Customer Dissatisfaction and Disloyalty: Highlights and Impacts of a Marketing and Accounting Initiative, AMA Winter Educators’ Conference Proceedings, February, Tampa, U.S.A. Le Bon J. and Herman C. (2015), Key Account Management: Strategies to Leverage Information, Technology, and Relationships to Deliver Value to Large Customers, New York, NY: Business Expert Press. Le Bon J. (2014), Competitive Intelligence and the Sales Force: How to Gain Market Leadership through Competitive Intelligence, New York, NY: Business Expert Press.